The headline news from Antonio Conte’s final Premier League pre-match press conference of the season was that Thibaut Courtois trained today and could feature at Newcastle. We conclude our league campaign with a trip to the North-East on Sunday, before the FA Cup final the following weekend brings the curtain down on 2018/19. The boss insisted that for now everyone’s focus is on St James’ Park, and trying to pinch a top-four place. Conte reported Courtois is in contention to play on Tyneside having missed the Huddersfield match with a back injury. There are no other fresh injury concerns ahead of the trip north. ‘It won’t be easy because a Champions League place is not in our hands, but we have to try to get three points against Newcastle and hope for something positive for us,’ he said. ‘There is this possibility of not taking a Champions League place because you play in a top league, a very tough league with six top teams. It can happen, and in the past the same thing happened. It’s not automatic you play every season and finish in the top four. 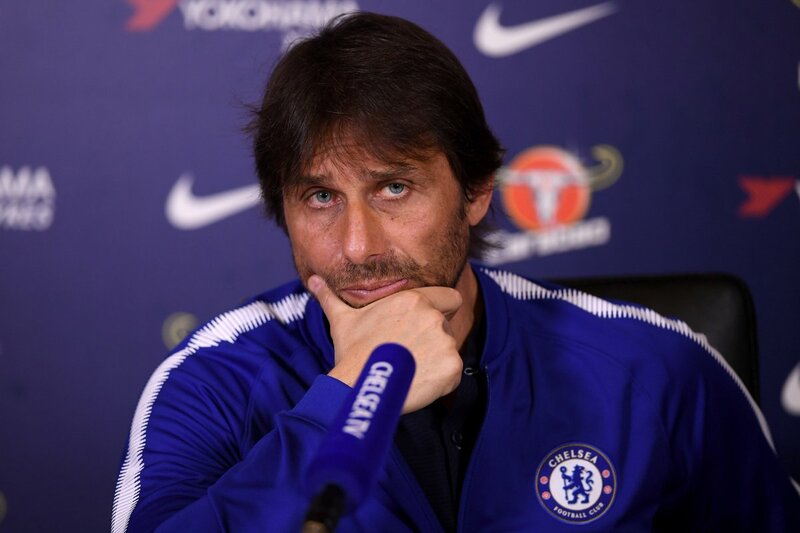 As he approaches the end of his second year in charge of the Blues, Conte explained why he does not like to analyse the bigger picture but rather focus on the day-to-day. ‘We worked very hard for two years to try to build something and create a base. I think we did this, but I am the last person to judge the club at this moment. My task is to work and do my job in the best possible way with my players and for the fans. Then it is for other people to judge our position. Although this season has not gone as well as last, Conte was quick to stress he continues to enjoy the rigours English football throws at him. ‘It’s been a great experience for me. This league is great. It’s the toughest league in the world. It’s a great chance to compete with so many clubs who are very strong.